At the United Nations General Assembly last week, I joined my fellow leaders to debate and find solutions for the most pressing issues affecting global peace, security, and stability. The considerable challenges facing West Africa – the Ebola epidemic, the threat of extremist terrorist groups, vast economic disparities, and illegal trafficking – were among our primary concerns. What remains clear is that each country has a role to play in strengthening political, economic, and security conditions regionally and around the world. In West Africa, we must examine areas where we can be stronger and create a consensus in our society to develop and implement a strategic vision for our future. Togo today is markedly different from the Togo of ten years ago because we took this examination to heart – recognizing that we may be small in size, but great in potential. We began by reducing poverty through broad economic development, including fighting corruption that is a deterrent to foreign investment. We have embarked on an ambitious economic plan that will not just benefit a few, but empower citizens from all parts of Togolese society to benefit and prosper. We strive for inclusion – economically as well as socially and politically, for minorities, and from the entire political spectrum – so that all have access to necessary resources and have the utmost trust in our institutions. We made a commitment to guarantee gender equality because women have always been and continue to be the backbone of our families and societies. We have reformed our education system to provide incentives for families to make sure that our daughters as well as our sons attend school. We also reformed our family code to promote parity among men and women; and we have created career training and microfinance programs that empower women to support themselves and their families. Like many countries in Africa, Togo also has a considerable youth population and these young people are the future of our country. They deserve our best efforts to make sure that they are fully equipped to allow Togo to thrive for generations to come. To that end, we’ve put in place entrepreneurial programs for young people to find jobs, establishing partnerships with industry leaders and civil society who coordinate training and recruitment efforts. The most effective way to discourage often frustrated unemployed youth away from crime and extremism is to provide jobs and an economic way forward. We must also look beyond our borders, because Togo is not an island and cannot be prosperous nor secure if our region and continent are mired in conflict. Togo has and continues to play a key role in several UN peacekeeping missions on the continent, such as in Ivory Coast, Darfur, Mali, and Guinea-Bissau. Next year, Togo will host the African Union Maritime Security Summit to bring together our neighbors and partners to find the best ways to fight piracy, illegal trafficking of drugs, arms, and ivory, and provide a safe and protected passageway for goods and resources. Illicit trafficking and organized crime not only pose a threat to the physical security of millions, but they inhibit robust development, strengthening of democracy, and the rule of law. In order to maximize the progress we’ve seen, we need the support of our friends and allies, such as the United States. 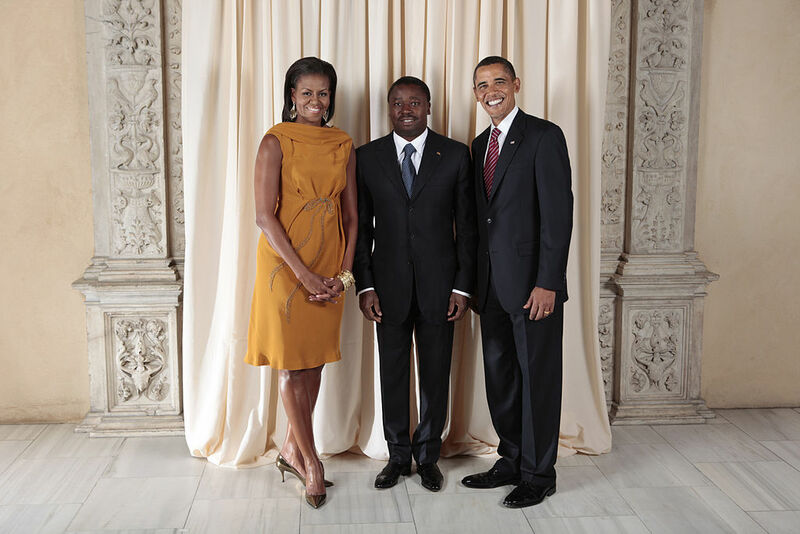 This support is not a one-way transfer of resources; rather it is a vibrant exchange which can benefit both our countries through security cooperation to protect US and Togolese interests in the region, as well as greatly increase mutually beneficial investment and economic development opportunities. Togo is currently seeking a Millennium Challenge Corporation partnership with the US, which could provide vital financial resources to fully and more broadly implement the initiatives we have undertaken as well as reinforce our already strong bilateral relationship. The recent US-Africa Leaders Summit convened by President Barack Obama was a major step forward to transform antiquated relationships with our continent into 21st century partnerships. Togo is ready to partner with our neighbors, civil society, and the business community to ensure that those commitments and promises made during the Summit become tangible realities that all can benefit from. I am proud that the vision I have for my country is a shared one with my fellow citizens. We are committed to making our progress permanent and flourishing. We have accomplished a great deal, yet much remains for us to do. We cannot and must not let challenges overshadow the fact that there is much untapped potential for our future. 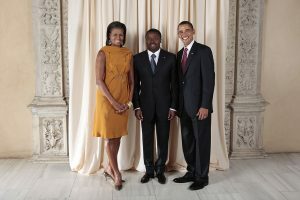 Faure Gnassingbé is the President of the Republic of Togo.